Numerous and wide-ranging interests, coupled with energy, compassion, a love of learning and commitment to service characterize a Ramona girl. Ramona’s challenging curriculum helps to build character and confidence as well as problem solving and critical thinking skills. These young women are being educated FOR LIFE. Inspired by the mission and charism of Blessed Marie Rose and the Sisters of the Holy Names, each young woman is supported and encouraged to develop to her full potential spiritually, intellectually, socially, and physically. 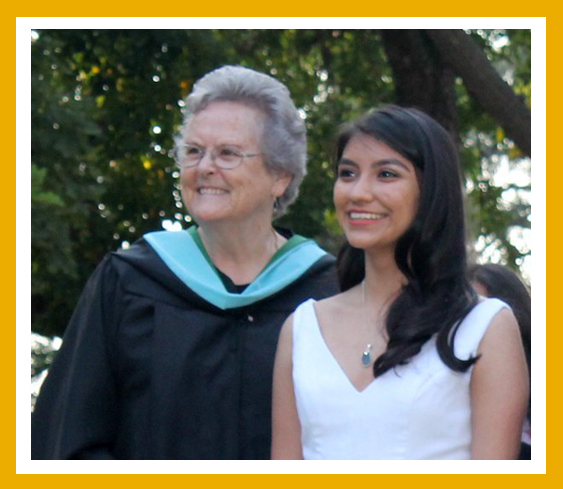 The hallmarks of a Ramona education are echoed through the voices of alums from the 1930’s to our most recent graduates. They were prepared FOR LIFE. Though the methods of delivering instruction and the tools we use are different, the same ideas and values permeate the curricular and co-curricular activities. Computers have replaced manual typewriters; e-books are beginning to replace some textbooks; and research is no longer done with encyclopedias but on the internet; however, a Ramona education is still personalized and values based. Ramona students are scholars, athletes, artists, musicians, scientist, poets, and actresses, each being challenged to expand her horizons and to set her own goals and dreams. Curiosity, creativity, and critical thinking are inspired every day through our various curricular offerings.